Visit the oldest capital in Europe! 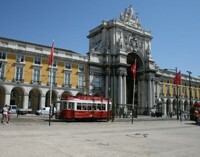 One of the most elegant and fascinating cities, Lisbon has a mixture of traditional and modern culture. The school is only 20 minutes from the city center, allowing you to fully explore Lisbon. Learn in small classes with students from all over the world. Lisbon is the oldest capital in Europe, and is one of the most fascinating and elegant cities. 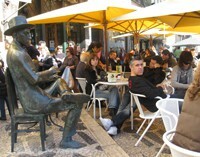 Lisbon has a mixture of traditional and modern culture. Its ancient suburbs and unique alleyway give it a personal and cozy feel. Discover the magic of Portugal and learn the third most common language in Europe and the official language of 10 countries. 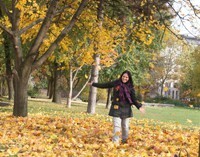 The school is accredited by AEPLE, English UK, ICEF and ELITE. Its location is only 20 minutes from the city center in the trendy neighbourhood of Alfornelos. Here you’ll find cafes, restaurants, banks, clinics, shopping centres and easy transport links (metro and busses). You can use the location to your advantage, by exploring the city and going to the many cultural and sporting events, eating in restaurants or shopping in the large variety of shops. The classrooms are comfortable and completely equipped; there is an IT room, audio-visual library as well as free Wifi. 15 lessons of general Portuguese a week, Monday to Friday. Around 8 students per class, all from international backgrounds. All levels accepted. Starts every Monday except Christmas. 1 week minimum duration. 25 lessons a week, from Monday to Friday. All levels accepted. Starts every Monday except Christmas from June to September. 1 week minimum duration. Informational material, proof of your progress from when you start to the end, and an accredited final diploma. A large programme of cultural and social activities (some are included in the price and some are pre-registration).